The new Premium is one of our so-called young generation boards and is equipped with a vario rocker which means that both the midsection and the area behind the bindings are flat-lying. With these bending lines in between as well as towards the tip and tail, a moderate tension is generated. 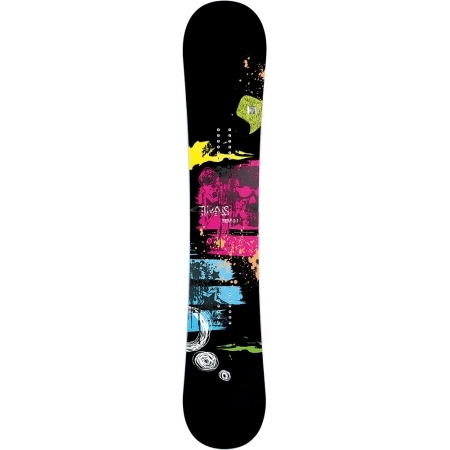 This board series is well suited for turns on harder piste and even on unpurified jumps over tip and tail, there is still a maximum of stability. From its range of use, the Premium is a board with best freestyle features you can get for that perfect price-performance-ratio. The freestyle character is supported by its twin tip shape. The variorocker boards are the absolute allrounder when it comes to have the most fun with a board. The central rocker line has a moderate camber in the binding area, which in turn allows a playful ride and a rich pop. the “varios“ so to speak, are always there when you go from hard piste in the powder, or take a trip to the park.